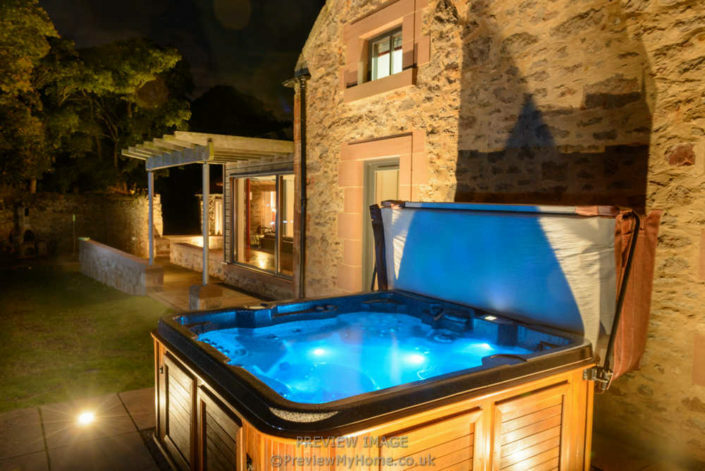 Denfind House is a luxury Scottish holiday home with hot tub, nestled gently into Scottish golfing country, on the east side of Edinburgh. 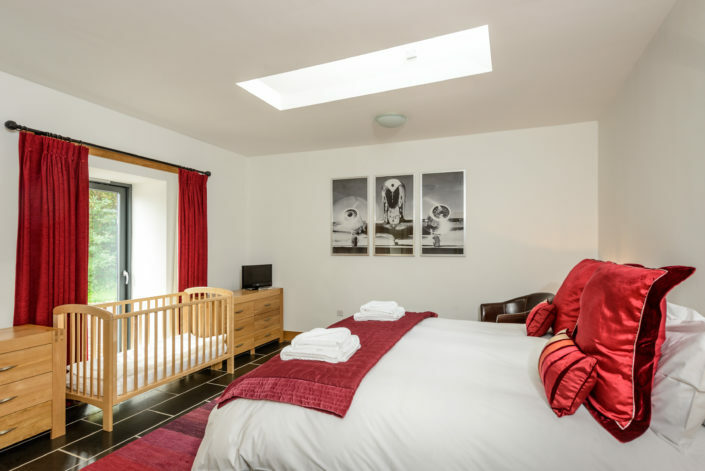 Surrounded by beautiful farmland and meadows, this luxury holiday home in the heart of Central Scotland immediately rests the soul as you unwind into this relaxed, family friendly property in the heart of a quiet, working arable farm. Comfortably sleeping up to 8 guests in 4 beautifully finished en-suite bedrooms, you will be welcomed by black Caithness slate floors and solid oak finishings – a sight that can only be appreciated on experiencing it first hand. 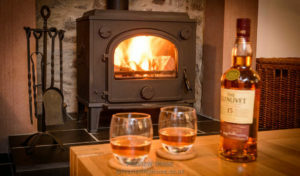 The cosy living room with log burner ensures a special kind of warmth on a frosty night as well as warming glow that complements any summer evening. 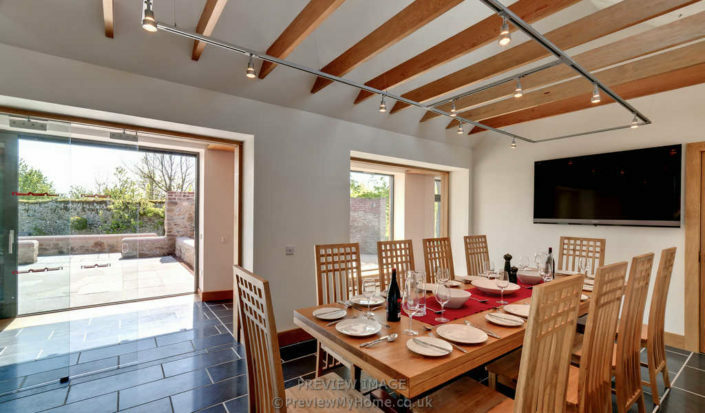 Through the dining room, substantial kitchen and sun room with panoramic windows you are led through to your own private hot tub, set within the large, secluded walled garden of Denfind House. 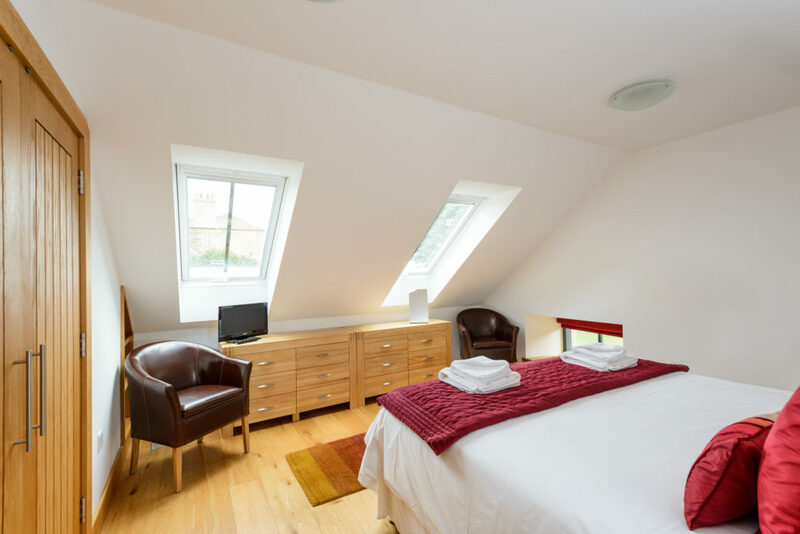 “My friends and I just spent 7 nights at Denfind House and left wanting to stay longer. The house is gorgeous and the hosts are friendly and so helpful. 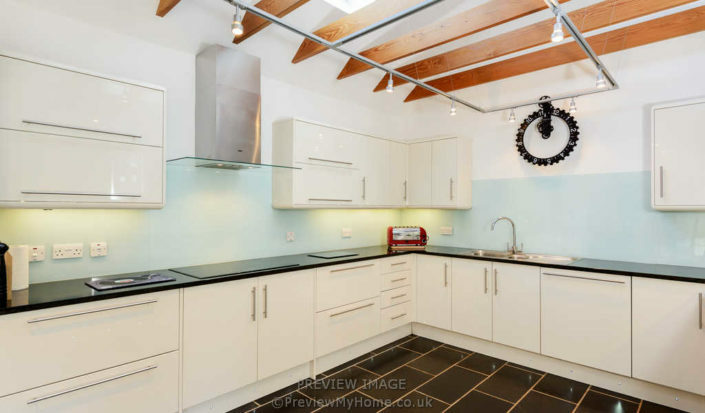 The location, with it’s proximity to North Berwick (a charming village) and the train just adds to its desirability. 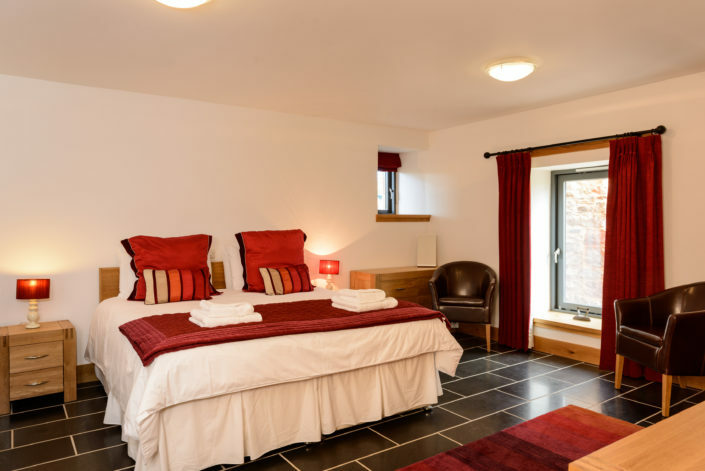 Our extensive walled gardens with inset lighting and outside oven to wine and dine of a Scottish evening, to the perfectly finished interiors – no detail has been left untouched. 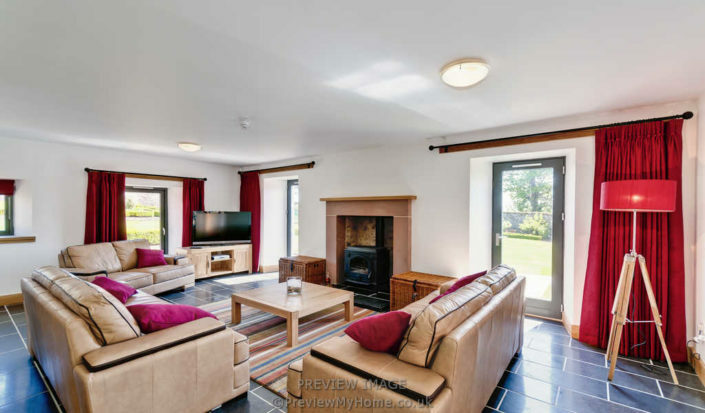 This luxury holiday home features a 62” television, indoor dining area for 10 and 4 en-suite bedrooms of the highest standard, well deserving of its 5 Star Scottish Tourist Awards Rating. 20 Golf Courses for golfers of all levels. 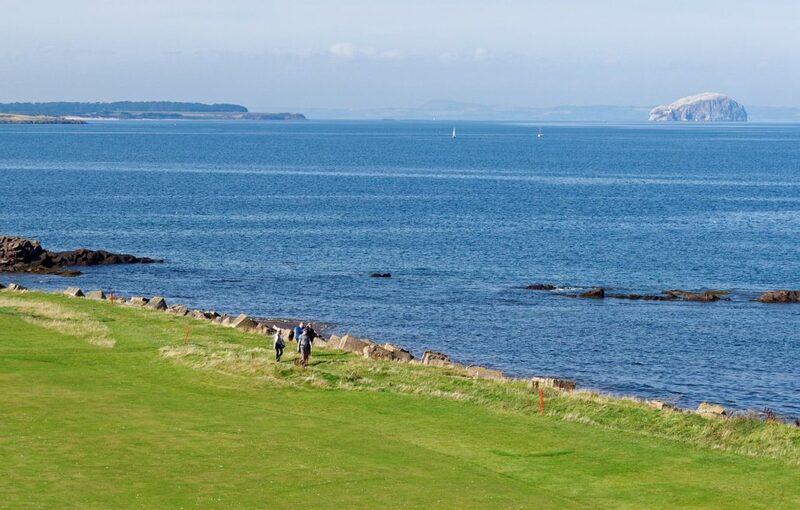 With over 20 courses providing a choice to golfers of all levels East Lothian is one of the finest regions for golf in Scotland. 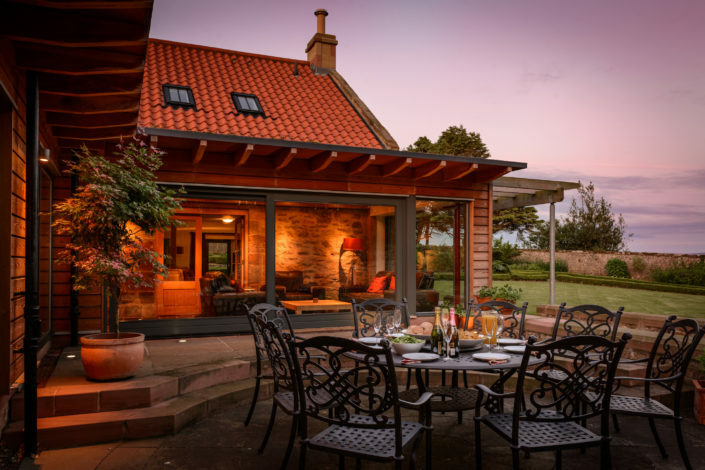 Some of the world’s oldest courses can be found within just a few miles of Denfind House including Musselburgh, North Berwick, Dunbar, Gullane and The Open Championship course at Muirfield. Treat yourself or your loved one to a relaxing spa day. 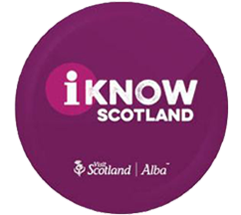 There is a huge choice in places to visit in East Lothian. Learn about Scotland’s ultimate export, malt whisky at the Glenkinchie Distillery or if you have a passion for aviation take a tour on Concorde at the National Museum of Flight. Walking, cycling and horse riding with miles of beautiful coastline to the south and a spread of farmland, woods and rivers in between. You can step back in time at the castles and churches or visit The Scottish Seabird Centre to see the natural beauty of East Lothian. 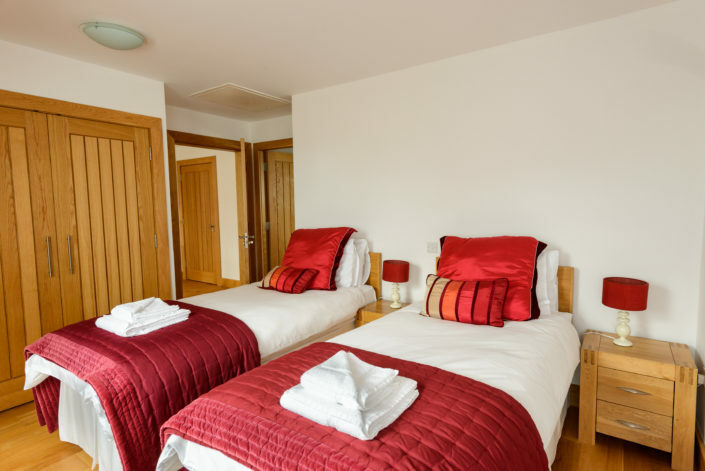 If you are looking for a relaxing spa day visit Macdonald Marine Hotel Spa or Archerfield Spa, both within 10 minutes of Denfind House. 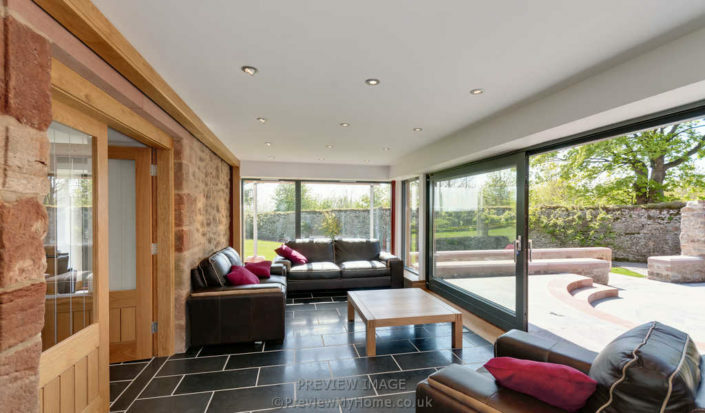 Denfind house delivers a very intimate and personal Scottish wedding venue. 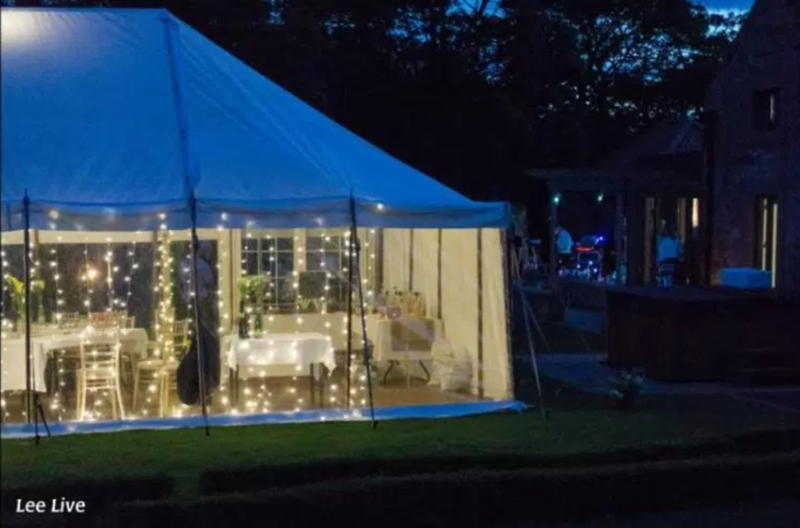 The large walled garden is a secluded, private unique setting for your wedding party to relax and soak up the atmosphere of a truly bespoke venue. The location of Denfind House makes it easily accessible from Edinburgh and Glasgow or the Scottish Borders, and the spacious rooms, and beautiful surroundings make a very special Scottish wedding venue.